If you listened to my post-Oktoberfest morning podcast from the Leonardo Hotel in Munich, you know that I was sipping coffee and relaying events from the night before. I thought you might get a kick out of seeing the set-up I've been using to record during these last two weeks. I mount a Rode VideoMic Pro on a Joby GorillaPod and plug it in to my MacBook Pro Retina Display laptop via a Plantronics USB interface. The audio is captured by Audio Hijack Pro and edited (sometimes) in Fission, both by Rogue Amoeba. I usually set up my Lowepro Fastpack to serve as a sound cushion. 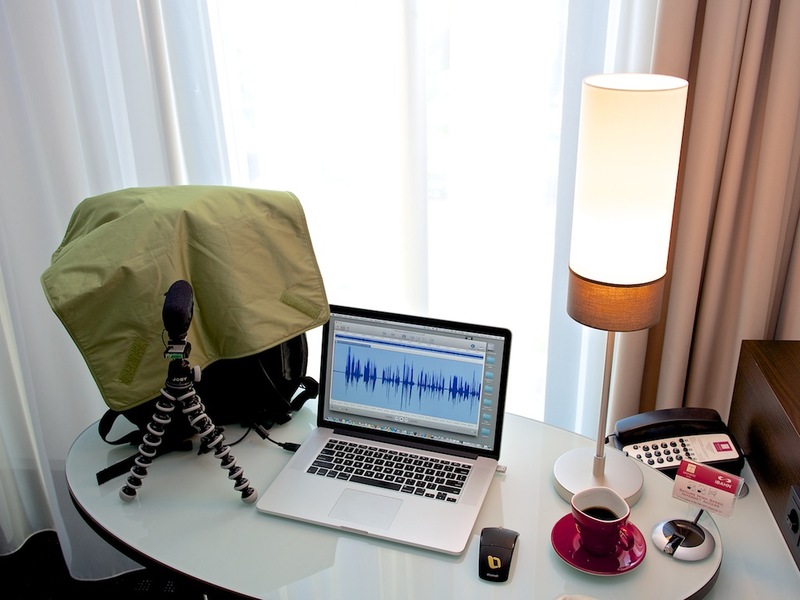 It's a simple rig, but it is very portable, and it has enabled me to keep posting to iTunes, even while on the road. 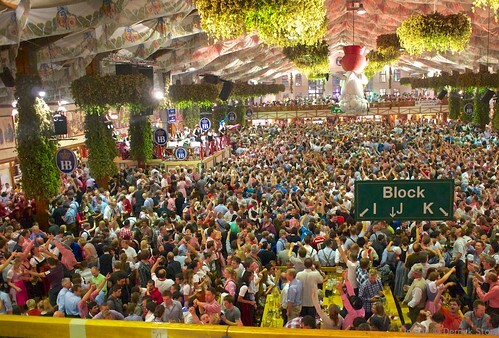 I spent Monday night inside the Hofbrau tent at Oktoberfest in Munich. The capacity of this facility is over 3,000 people. During the 16 days of the festival, they will serve more than 500,000 1-liter beers... just in that tent. The scene from the balcony in the Hofbrau tent. Photos by Derrick Story. Speaking of beer, It's amazing how much more you can drink there. It's stronger, specially brewed for Oktoberfest. But it's also fresh because it's not transported. Hofbrau makes it there, and there it is consumed. "More Beer Please!" The women who bring the beer are absolutely amazing. The festival itself is huge. There are a total of 34 beer tents, 9 of which are very large. It takes 4 months to build the Oktoberfest village and 2 months to take it down. This happens every year. 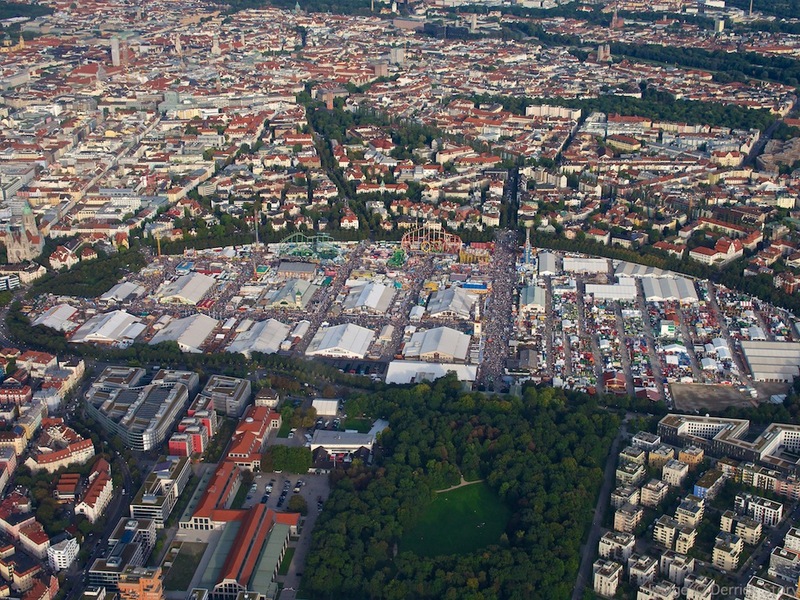 In this shot that I took from the air, you can see how the festival dominates the Munich landscape. Inside the tents, music fills the air from live bands. Thousands of chickens and giant pretzels are served to help soak up the beer. And people truly have a good time. Yes, it's noisy, and there's lots of bumping. It's a beer drinking festival. And it's a blast. 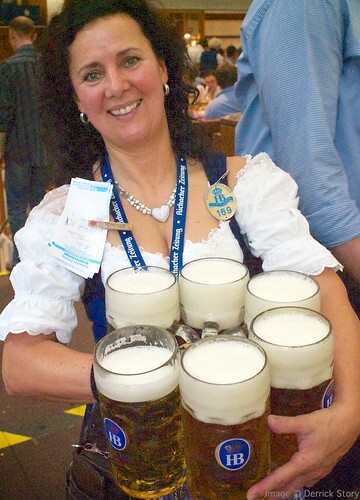 I talk more about my Oktoberfest experience in this week's TDS Podcast. For me, Instagram is the ultimate travel log. You can capture images with your smart phone, apply effects, write captions, and share with others -- all in real time over a cellular network. During my visit to Germany, I've used Instagram to augment my Photokina reporting for Lowepro and to document my own observations. This is the first time I've tried this (in fact I've only been using Instagram for a few weeks), and I'm having a blast. 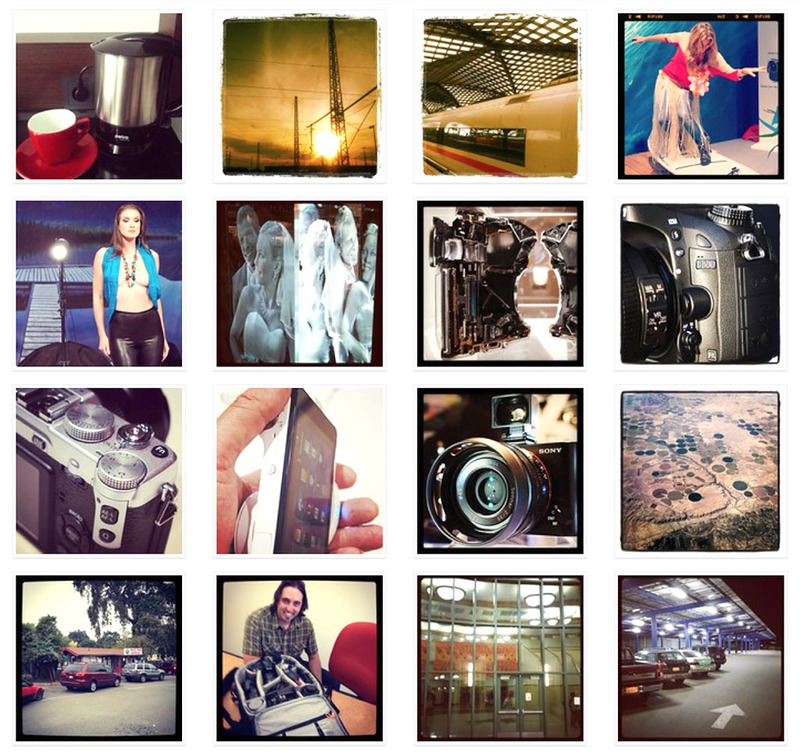 Recent Instagrams from my travels. You can set up the application to share your posts on other social networks too. So I'm able to keep my Twitter and Facebook friends up to date, even if they don't follow me on Instagram. 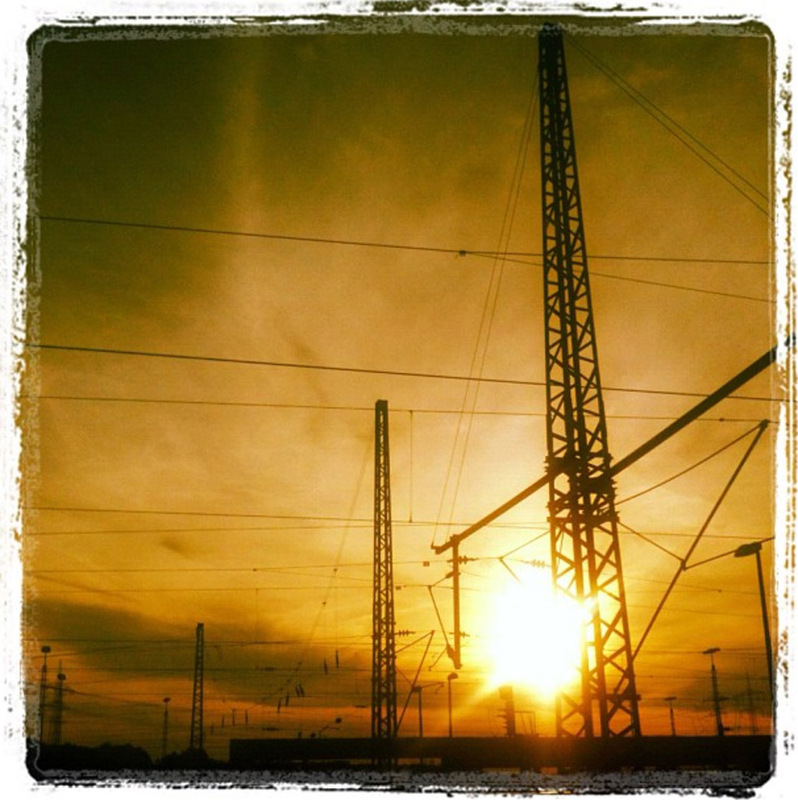 "Power Lines, Setting Sun" captured through a train window while traveling from Cologne to Munich. What's even more interesting to me, is that I'm using an iPhone 3GS for this reporting, not my iPhone 4S. As you may recall from a podcast earlier this month, I had AT&T unlock my iPhone 3GS, then I bought a SIM card in Germany for 25 Euros with 750 MBs of data plus plenty of talk time. This allows me to post lots of content regardless of my location. Tonight, we head to Oktoberfest. I will certainly be reporting from there. If you use Instagram, you might want to follow me at derrickstory. Otherwise, I'll be sure to post on Twitter and on TheDigitalStory on Facebook. Prost! 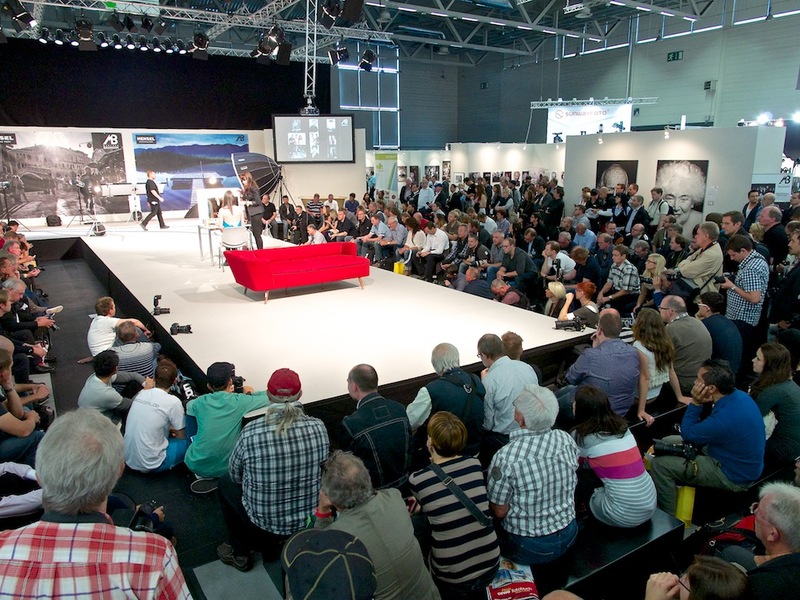 By now you've probably read plenty about the announcements and discoveries at Photokina in Cologne, Germany. So, for just 90 seconds, I want to take you inside the halls and share with you what I've been experiencing over the last week. Thanks to the entire Lowepro team for your support and outstanding effort. It's a pleasure to work with you. Now... I board an ICE and head to Munich. Next report and podcast will be from the land of Oktoberfest. Do you have a few rolls of 35mm film in the freezer that you'd love to do something fun with? 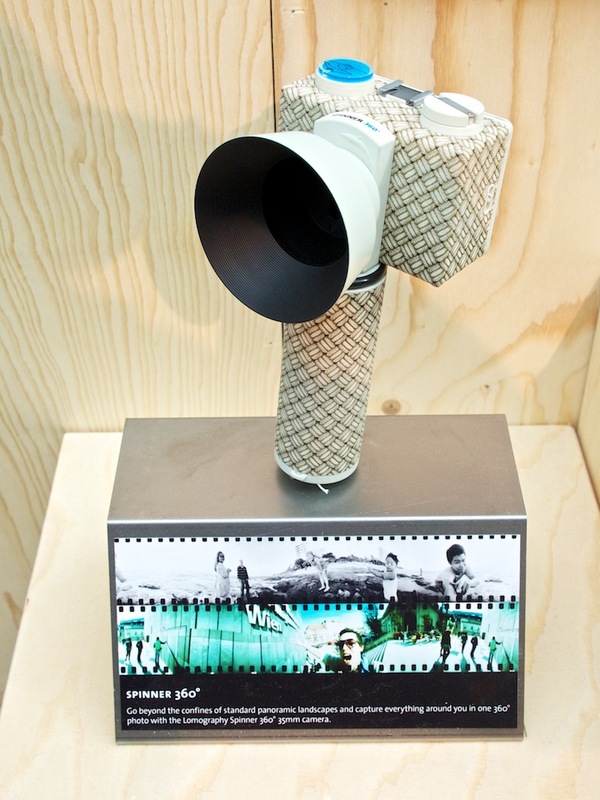 Take a look at the Spinner 360 degrees by the creative folks at Lomography. All you do is load up the camera with film, find an interesting subject, pull the cord, and the camera spins, filming as it moves. It records everything around you. Specs include: 25mm fixed focus lens, two aperture settings (f/8, f/16), 3 exposure settings (1/125 - 1/250, manual slow), and a battery-free, rubber band drive. You can get your hands on one for less than $100. Then all you have to do is develop the film, have it scanned, and share with friends. You might want to take a look at the sample galleries to get those creative juices flowing. In the Olympus booth, they were calling it "the cookie." The 15mm will be perfect those who have a back-up body. In my case, I pack the PEN mini as a second camera. 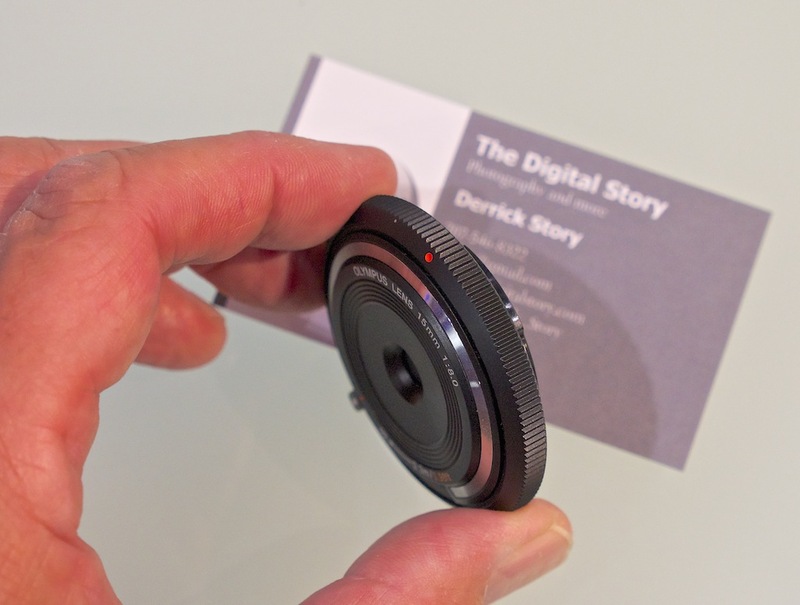 With the body cap lens, the PEN will occupy even less space in my camera bag. It's fixed-focus. So you just shoot. Don't worry about the AF locking in on the correct element in the composition. I think this will be very appealing to street shooters. 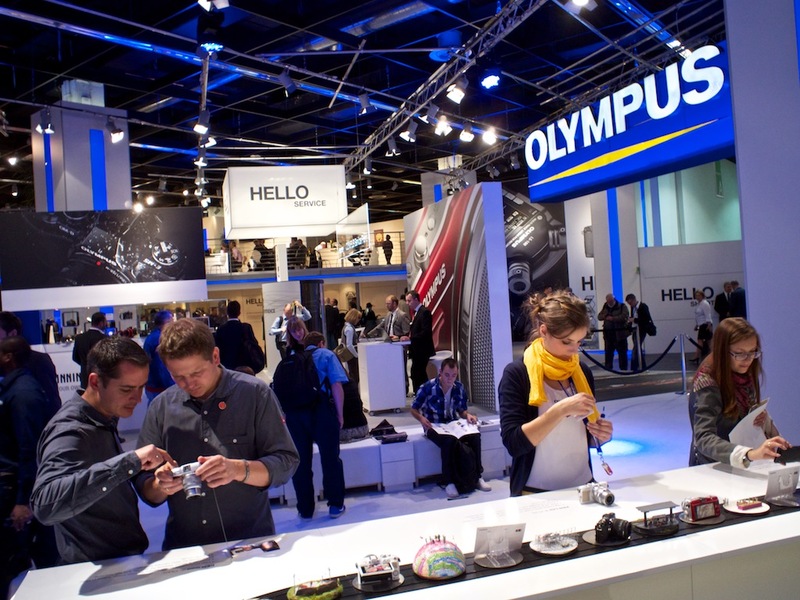 In my informal tests on the OM-D in the Olympus booth, the 15mm rendered quite nicely. If has 3 glass elements and a fixed aperture of f/8. We can expect to see this holiday stocking stuffer around mid-November. It should retail for approximately $50 US. 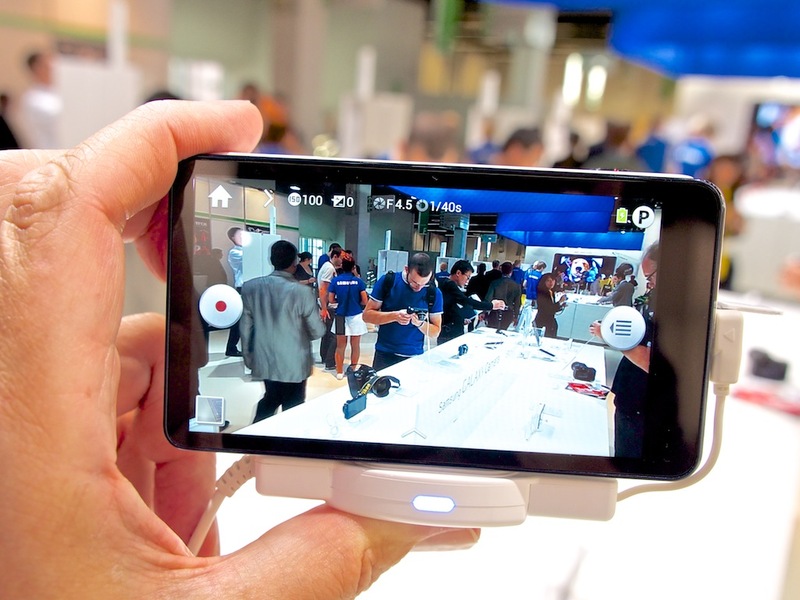 How Would You Hold Your Samsung Galaxy Camera? One of my stops today at Photokina was to take a closer look at the Samsung Galaxy Camera. In case you missed the announcement, this is the first compact camera that's WiFi and cellular connected, and controlled by the Android mobile operating system. The front looks like a Samsung camera, including a collapsable zoom lens. 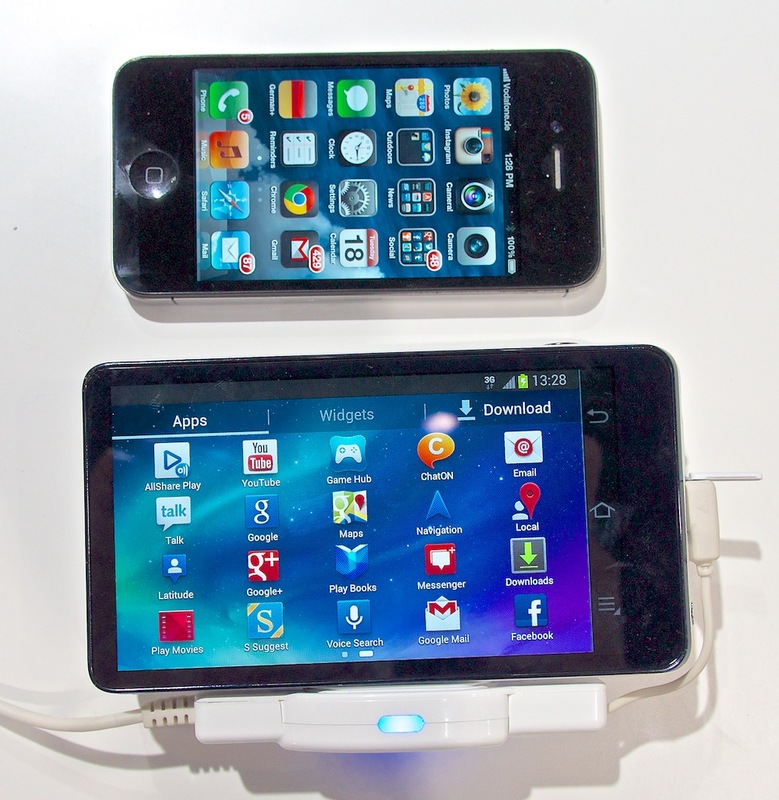 But the back has the appearance, feel, and functionality of an Android-powered device. Yes, that means apps too. Taking a picture with the Samsung Galaxy. The screen looks great. I opened and closed various apps and had a nice geeky moment with the device (except for one thing -- more on that in a minute). But then I wanted to take a picture, and I wasn't sure how to hold the camera. There's no place on the back to rest your thumb. It's all screen. 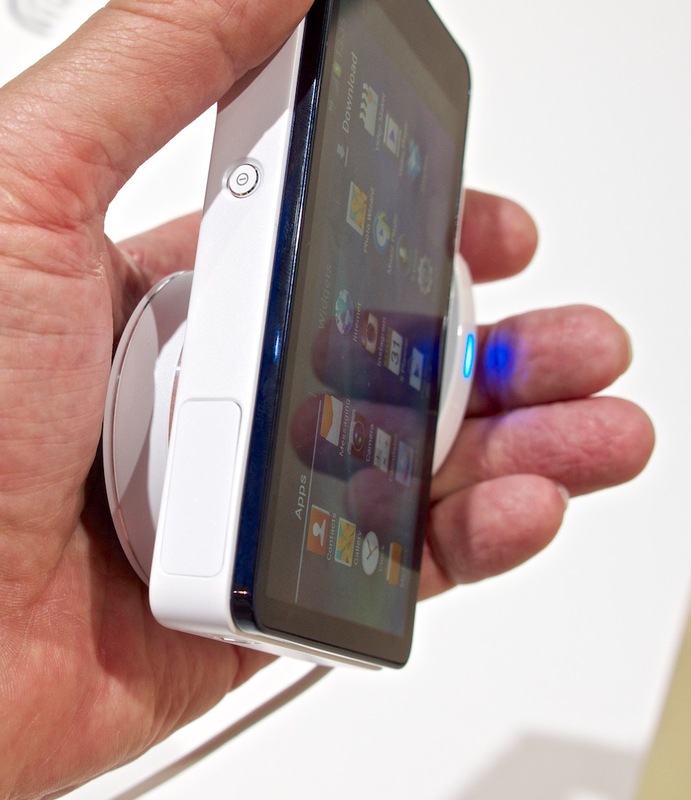 After some trial and error, I ended up holding the Galaxy by the edges like I do my iPhone. Speaking of the iPhone, the Samsung Galaxy Camera is a bit larger than the iPhone 4S I always have with me. Now, back to when I was playing with the Android apps. I wasn't sure how the hold the device then either. The zoom lens was smack in the middle of my hand. The zoom lens wasn't that comfy in my hand when I was in "Android mode." All of this led me to one, big question: how the heck should I hold it? I guess these are the little things you put up with when you're very enamored with the technology.